Stay connected and updated with the latest updated with us on Facebook! CALL AHEAD, WE CAN GET YOU READY. BOOK OUR FAMILY ROOM FOR YOUR PARTY OR MEETING, WE ARE READY FOR YOU!!! ​YOU CAN SCHEDULE A SPECIAL DELIVERY FOR LARGE ORDERS. Okay I have to say this place is awesome! I was driving in the area and saw this place by its lonesome on the side of the road and I knew I had to check it out. This place is very very homey you can tell it was built with love and care. The decor may seem dated to some but I feel like it really stands out by adding so much character to the place. Anyways I got a Cajun pepper jack burger and added an egg to it (who doesn’t like an egg?) and it was definitely one of the most standout burgers I’ve had in a long time. The meat was juicy, the egg was cooked perfectly, and most importantly they put the veggies on the side for my togo order! Although this is a farther drive for me (30+ minutes) I will def make the effort to come out here again. This is our second time going here and the food is absolutely delicious! The weight is not bad at all! The food prices are kind of high but it's worth it for how good the food is! Would definitely go back several times! We stopped by for a quick bite to eat at Nicky D's. It was the biggest hamburger I had eaten yet. It was made from fresh hamburger meat not the frozen patties. The seasonings we're outstanding. I'm adding this spot to my all time favorite one's. Awesome burgers, atmosphere, etc. 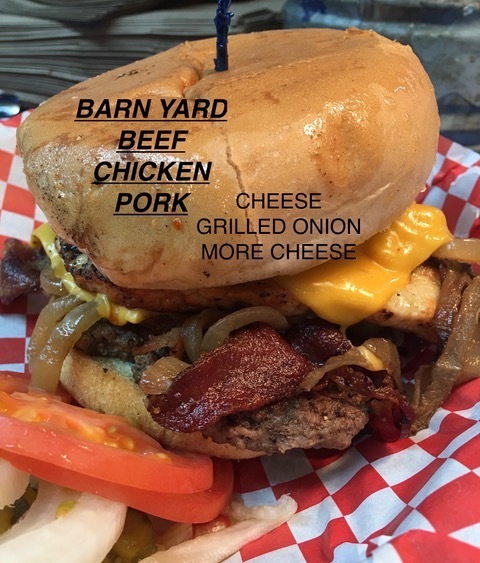 You can taste the homemade goodness in the burgers, the employees are nice and helpful. Wish we had a place like this closer to home but definitely worth the drive if you dont live around the area. Makes me feel like I went back in time (60s or 70s) when stepping into this place, if you like that homie sweet small hometown country burger joint then you found the spot. Definitely recommend this place and will come back. So, I liked the place. Friendly service. Good atmosphere. But my sandwich (fried bbq bologna) was gross. And I really like a fried bologna sandwich normally. The "slice" of bologna was almost 1/2 inch think and covered with about a quarter cup of bbq sauce. That's definitely a case of too much of a good thing. If I go back again, I'd definitely just get a burger. I like Nicky D's. Good burgers excellent 🍟. It is expensive to eat here. The people that eat here are nice. The staff is very nice. When you tip you get a bell rung. When you have the money to eat here, i recommend it. I had a fly buzzing me the whole time i was eating, packed my food up and took it home to eat. 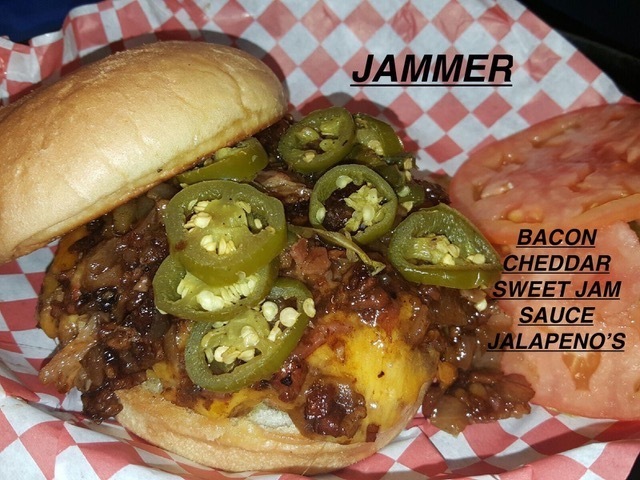 We've tried a lot of burger places over the past couple years, Rodeo Goat, Twisted Root, Thurber Mingus, etc. 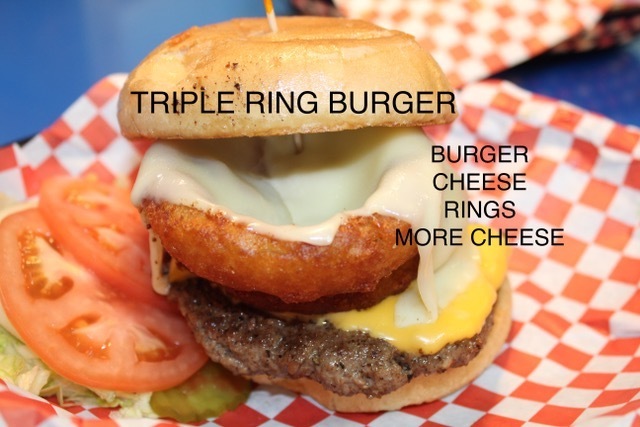 Nicky D's puts them all to shame, and they do it with the simplest burger! Nothing fancy, just a damn good burger. Oh and the onion rings are amazing with their home made ranch. I found Nicky D's by accident. I was looking for a quick burger and past it. When I saw ALL the cars outside, I turned around and went in. It took a minute to select my burger and I went with the small one and the added tater tots. Happy with the choices and it was plenty to eat. I would go again if I was in the area. 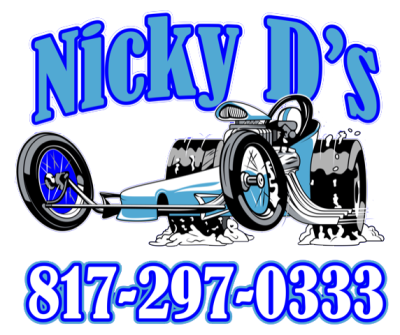 Nicky D's is a great Crowley staple. Some of the best and biggest burgers around. Come in, order at the front and take a seat or get it to go. During the warmer months I like to take my kids to the side room where they have a TV and can run around safely. A regular burger is plenty for one person and add a large order of fries and is plenty to feed the wife and I. Only downside is I'm not a fan of the chicken patties on the chic burger which seam cheap and processed. However, seriously the best burger I have found in the area thus far. First time at this place.... Wow!!! So glad we stopped!!! Big fat juicy burgers a mountain of tots , and more toppings than you can imagine... YUMMILICIOUS !!!!! I hope my travels bring me back by this fantastic Burger joint!!! 5 Stars, A SERIOUS HIGH FIVE , and 2 BIG TEXAS THUMBS UP! 2018 © Nicky D's. All Rights Reserved.